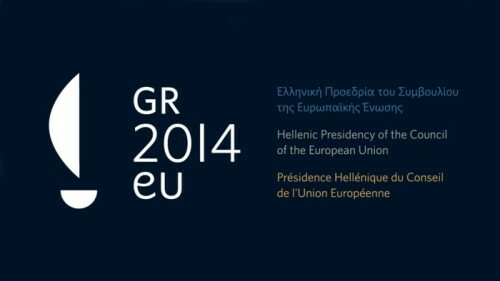 Today, the opening ceremony of the new rotating presidency of the EU is taking place in Athens. With the arrival of 2014, Greece has taken on the flywheel of the Council for the fifth time. It will be followed by Italy, which will take the lead from July onwards. Thus, Mediterranean winds will blow across the Union throughout the course of this year. In spite of their limited room to maneuver, the two presidencies held by ‘peripheral’ countries, with economies wounded by the crisis, alarming unemployment, and a population which has gradually lost trust in their political representatives will surely have a symbolic worth and influence on the upcoming EU agenda. If the Irish presidency was particularly focused on Youth employment and the Lithuanian presidency on Migration, the Greek and Italian ones will build upon these issues. However, their mandate will also bring further debates on transparency, cohesion, and the capacity of national and European leaders to pull the battered economies to the fore, as well as the demeaned public services out of a long lasting crisis. The elections for the European Parliament in May will top off this interesting political scenario. The results will shed light over the speculations of those who predict very low turnouts and the rise of Eurosceptic and radical parties, particularly in Greece. It remains to be seen whether these EU citizens will ‘boycott’ the European project, which may seem, at times, to follow the old motto Tout pour le peuple, rien par le people; or whether the majority of constituents will take the time to vote for an MEP candidate, feeling that she/he could effectively advocate for solving their everyday problems at EU level. Greece has experienced first-hand the negative impact of the crisis. In the last few years, it has been the protagonist of numerous news associated with cases of fraudulent political praxis, public debt, two bailouts, austerity discipline imposed by the Troika, unemployment, degradation of public services, political instability, demonstrations, and even riots. As a means to bring trust to his fragile government coalition, the Greek Prime Minister Antonis Samaras has adopted a public speech filled by optimism. He argues that in 2014 the Greek economy will start growing and the Hellenic country will not need a third bailout. Moreover, to silence those who question the capability of Greece to hold an EU presidency at this point in time, the Greeks have applied austerity to the activities programmed under the Hellenic presidency. Their official aim is to ‘guide’ the Union with “Athenian values” (enhancing engagement towards the EU and promoting democratic legitimacy and accountability within the EU), but with a “Spartan budget” of €50 million, turning this into the most inexpensive presidency to date. With the motto “Europe, our common quest”, the Greek leaders will try to convince Greeks and Europeans that “together, we sail further”. Growth is the primary aim of this presidency, as it is considered being the necessary element for triggering jobs, political stability, and the correction of social imbalances, with the subsequent reinforcement of European cohesion. With the EU2020 Strategy as a backdrop, the Greeks consider the “right balance between fiscal solidity and an effort to boost growth” as the catalyst towards the achievement of this priority. This midpoint could be achieved by increasing the lending capacity of the European Investment Bank, with an emphasis on financing SMEs, key for generating new job positions. Further debates on this issue will follow in the coming months, with a European Commission White Paper soon to be released, and the Spring 2014 European Council meeting. The Greek presidency expresses its firm commitment to a new EMU architecture, able to absorb national economic shocks, and to safeguard the macroeconomic stability of the euro area. With this purpose, it will promote a banking union with supervision and resolution mechanisms, as well as a deposit guarantee, at the EU level. Along these lines, it will strive to reach an agreement with the European Parliament on the Council’s last proposal on the Single Resolution Mechanism before the end of the current legislature. Furthermore, it will advocate for further fiscal and economic policy coordination, respecting the Single Market and remaining open to non-Eurozone EU Member States. Finally, within this priority, the Greeks will support and implement the revised Stability and Growth Pact, and the relevant provisions of the Compact for Growth and Jobs. 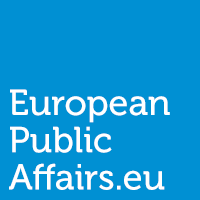 The instability in North Africa and the wide gap social, economic, and political gap between the two shores of the Mediterranean has led to intense migration flows across the EU external borders. This phenomenon has pushed countries such as Greece and Italy to spend resources in controlling illegal immigration. Moved by this experience, the Greek presidency will also place Migration on the EU agenda, by establishing three main targets: (1) better organizing legal migration, (2) reducing illegal migration, while safeguarding human rights, and (3) enhancing synergies between migration and growth. Due to the forthcoming end of the Stockholm program 2010-2014, the Greek presidency will start working on shaping the priorities for the 2014-2020 period, always with the overarching goal of making “an area of freedom, security and justice” out of the EU. Ultimately, it will promote the implementation of the “Common European Asylum System”, which enables to even the distribution of refugees across the EU, and a harmonized treatment of asylum seekers. This is a horizontal thematic priority which runs through the previous ones. Renewable blue energy, aquaculture, fisheries, exploitation of mineral resources or coastal tourism… as a maritime country, Greece is well aware of the potentials of the Sea, as well as of the needs of managing its resources in a sustainable way. The presidency will cover this topic from a two-fold perspective that includes economic and security aspects. One of its goals on this field is to adopt a text to relaunch the EU Maritime Policy at the June 2014 European Council. This priority comprises a series of broad actions, such as the Integrated Maritime Policy, which intends to foster inter-sectoral and trans-border cooperation in the Sea. Other objectives include the improvement of maritime spatial planning and the update of the EU Maritime Strategy, with a special focus on Maritime Transport. Greece will also uphold the upturn of accessibility and attractiveness of Coastal Areas through the smart specialization strategy, based on publicly-funded research. Within the framework of EU Macro-regional strategies, which emerge strongly in the programming period 2014-2020, the Greek presidency plans to organize a Ministerial Meeting on the new EU Macro-Region Strategy for the Adriatic and Ionian Seas (with an action plan set to be released by the Commission this Spring). Furthermore, Greece will strive to adopt the Maritime Security Strategy before the end of its mandate. PreviousRenewables in Germany: where is the Energiewende headed? Time to change it all! What do you think about 1 nice bom on the people of the picture ??? ALL OUR PROBLEMS SOLVED !!! and back to the E.E.G. All the traiters and lyers gone !!! !